If there's one thing that I want to be known for as a tech blogger, it is that I always do my best to connect directly with my readers and followers as I empower them with relevant information on various tech issues and gadget releases. 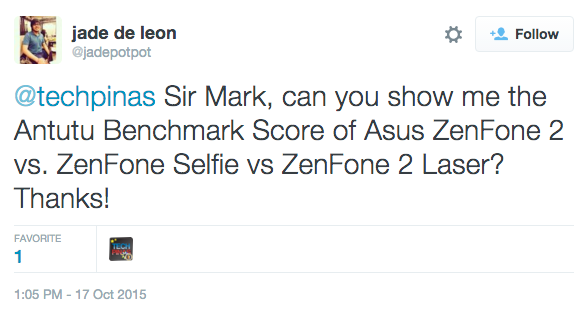 And in line with that, earlier today, I took time to snap screen shots and photos to address an inquiry that I got from US-based TP Friend Jade de Leon on Twitter last week about the three best-selling 2015 smartphones of Taiwanese handset maker, Asus. 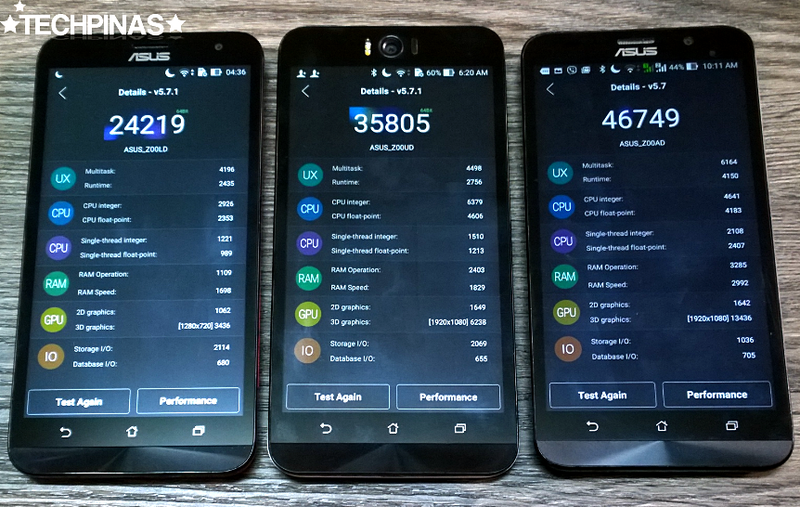 He wanted to know how Asus ZenFone 2 Laser ZE550KL, Asus ZenFone Selfie ZD551KL, and Asus ZenFone 2 ZE551ML compare against each other when it comes to their Antutu Benchmark Score. User Experience (UX) - Direct impression on smart device performance with detailed scores. CPU Tests - Measures how powerful the CPU is, with detailed score points and true hard numbers. 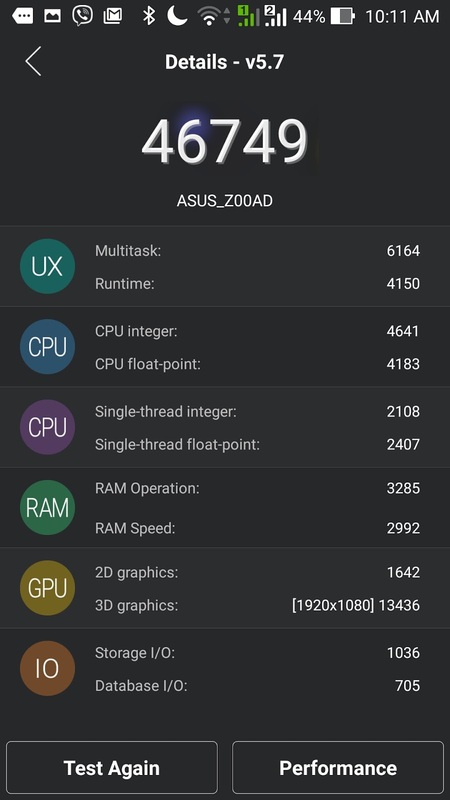 RAM Tests - Real processing ability of the RAM in handling multitasking. GPU Tests - Real graphics processing performance, 3D effects, games, and video play performance. I/O Tests - A direct score that reflects on the factual input/output (I/O) performance your system permits. 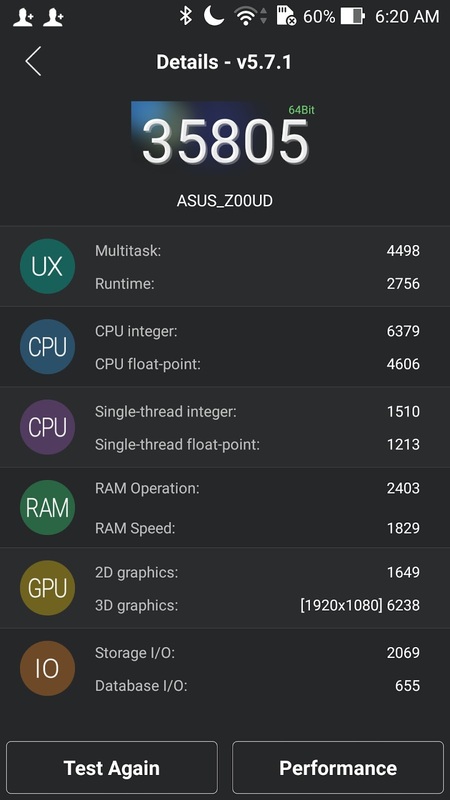 Note, however, that the Antutu benchmark score of your device is determined not just by its hardware configuration but it is also affected by many other elements, including system mode, device temperature and running apps, to name a few. Also, you might not get the same score every time you run the test on your phone or slate. 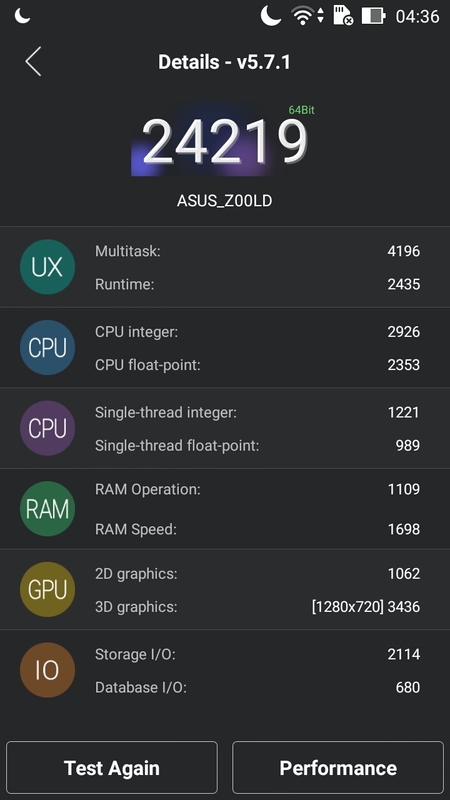 The amount of RAM and Internal Storage, the GPU model, the screen size and resolution, the power saving settings -- these are some key factors that affect or contribute to the Antutu Benchmark Score of a device. But of all of them, the central chipset model is number one element which greatly determines a device's mark. 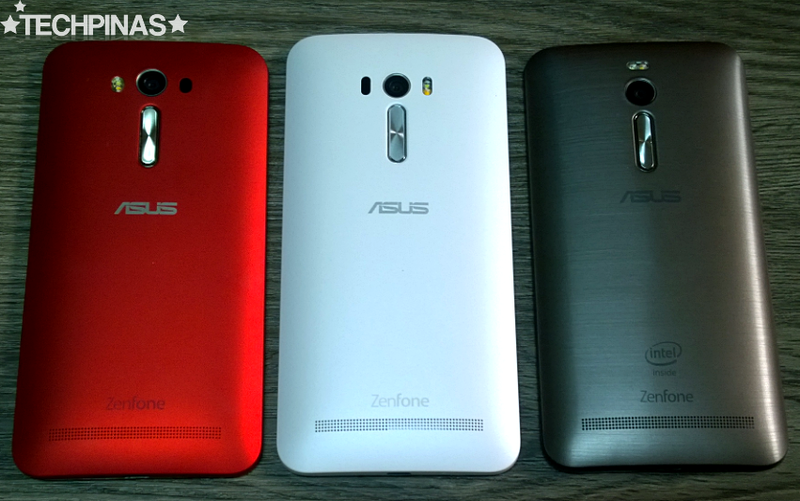 Jade, in terms of raw power, multitasking, and gaming performance, Asus ZenFone 2 ZE551ML clearly leads the trio. 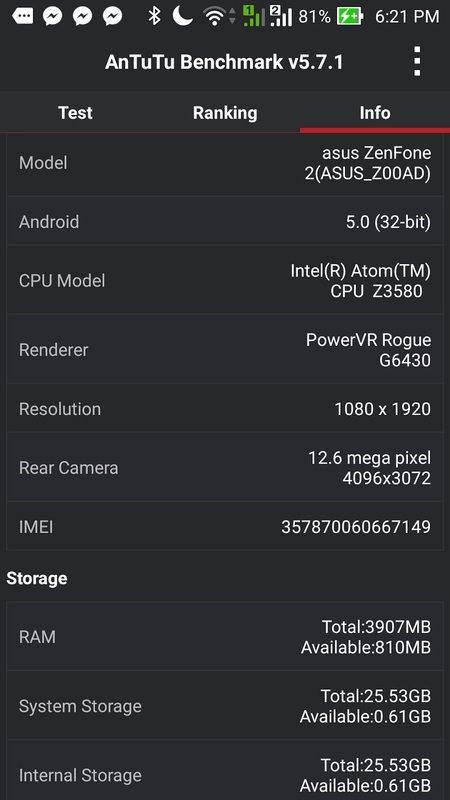 So if you're a heavy mobile gamer and you always run multiple apps on your handset for work and play, you might want to choose this model over the other two. 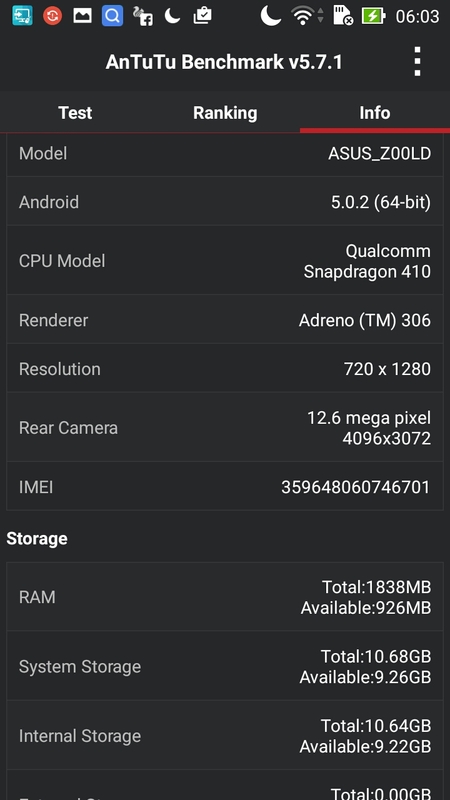 That's not to say, however, that ZE551ML is far better than Laser or Selfie across the board. There are some areas where the other two models can match if not altogether beat the current flagship. For instance, Asus ZenFone Selfie ZD551KL - as its name suggests - takes far better selfie shots with its 13 MegaPixel front cam incorporating a stellar beautification mode and Dual Tone LED flash. 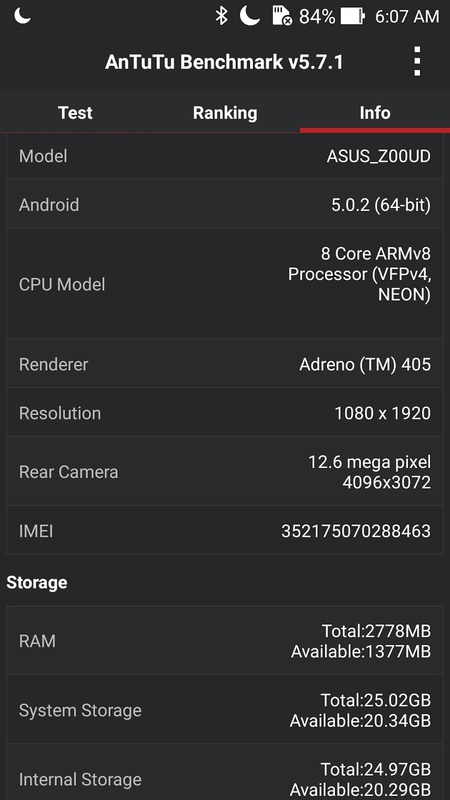 I also find Selfie's main camera to perform better than ZE551ML's rear shooter. Asus ZenFone 2 Laser ZE550KL, on the other hand, is far more affordable than either models yet it already comes with the same attractive design language and delivers an ultra-smooth touch experience. Prices of Asus ZenFone 2 Laser ZE550KL, Asus ZenFone Selfie ZD551KL, Asus ZenFone 2 ZE551ML in the Philippines start at Php 8,695, Php 11,995, and Php 13,995 (4GB RAM), respectively. I highly recommend all of these models.